Good Morning, Skip ~ is there an update for this version? I did not see it on their website. Hope you are having a great summer! I saw where someone posted that Corel is going to go the same format at Adobe with a monthly fee. If I get the 2019 upgrade will I have to join and pay monthly for the software? Hi Skip, I know there are many things I don’t know about Painter. Last year I got totally humiliated when I told somebody “oh that doesn’t exist” only to have you come in and tell the guy where it was. That permanently ended my days of giving out information on Painter. There are some things I NEVER want to learn about in Painter. Like audio brushes. But I also thought I never wanted to learn cloning until last year. So, never say never. I don’t think I want to learn auto painting, but I’ll stay open minded. One never knows. This class looks fabulous. I love what I’m seeing so far in 2019 and I look forward to your class on 2019. OMGosh Kerry…I didn’t mean to humiliate you…if I did I am so sorry. None of us know all there is to know about Painter. I tell the story about saying to a class that you couldn’t make a change in Applied lighting to have a student respond, but you told us how to do it a couple of weeks ago. What? I went back and looked at the video and sure enough I was explaining exactly what I said couldn’t be done…sigh. I am constantly re-learning stuff. Keep sharing and don’t worry about it. 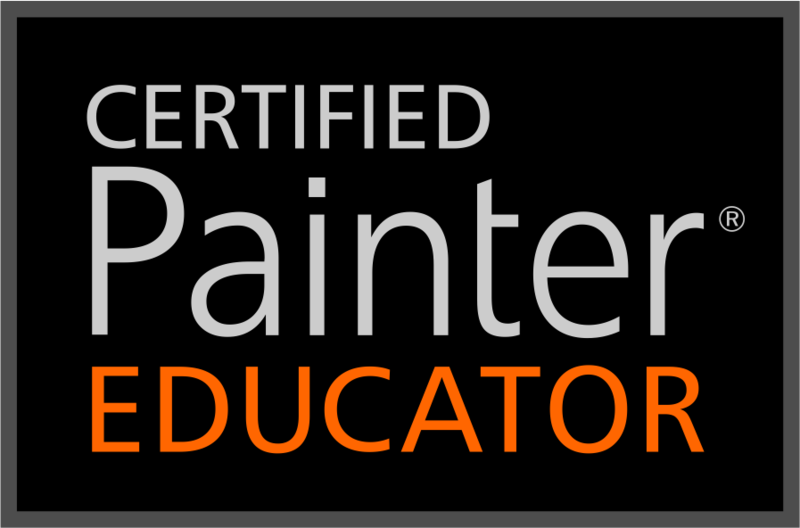 As for auto-painting…it is a very small part of the class and you don’t have to review it. I was using that as an example of something that we think we don’t need, and we may not. But reviewing it again…or even for the first time, may show us something that we see could be useful. I’m glad you are keeping an open mind…and I look forward to seeing you in the class. Thanks bunches for your continued support!!! You didn’t embarrass me Skip, I embarrassed me! 😂 I think I will be forever learning Painter! Skip, If I took the class would I be able to adapt some of the beginner class to Painter 2018? I love your classes and don’t care if I am not able to do a lot of the Painter 2019 stuff right now. I am planning to upgrade to a new computer in Feb 2019.